Translational Cardiometabolic Genomic Medicine, edited by Dr. Annabelle Rodriguez-Oquendo, is an important resource to postgraduate (medical, dental and graduate) students, postdoctoral fellows, basic scientists, and physician scientists seeking to understand and expand their knowledge base in the field of genomic medicine as it is applied to cardiometabolic diseases. This handbook integrates cutting-edge experimental approaches such as chromatin immunoprecipitation paired end tagging (CHIA-PET), to population studies such as the Multi-Ethnic Study of Atherosclerosis. 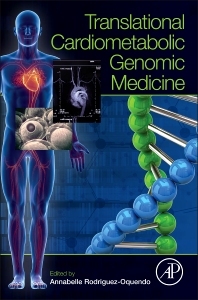 It encompasses a range of book chapters that highlight bioinformatic approaches to better understanding functionality of the noncoding regions of the human genome to the use of molecular diagnostic testing in predicting increased risk of cardiovascular diseases. Where applicable, this reference also includes chapters related to therapeutic options specifically aligned to molecular targets. 2. What Is a Network?